The Trump administration is planning to radically expand the program and facilities for the detention of immigrant families seeking asylum in the United States, according to documents obtained exclusively by MSNBC's "All In with Chris Hayes." In a town hall with Department of Homeland Security staffers last month, Asylum Division Chief John Lafferty said DHS had already located 20,000 beds for the indefinite detention of those seeking asylum, according to notes from the meeting obtained by All In. This would represent a nearly 500 percent increase from current capacity. The plan is part of a new set of policies for those apprehended at the border that would make good on President Donald Trump’s campaign promise to end the practice critics call "catch and release." "If implemented, this expansion in immigration detention would be the fastest and largest in our country’s history," says Andrew Free, an immigration lawyer in Nashville who represents clients applying for asylum. "And my worry is it'll be permanent. Once those beds are in place they’ll never go away." Under the plan under consideration, DHS would break from the current policy keeping families together. Instead, it would separate women and children after they’ve been detained — leaving mothers to choose between returning to their country of origin with their children, or being separated from their children while staying in detention to pursue their asylum claim. "How many human beings can look into the eyes of a mother or child seeking refuge and intentionally create this Sophie’s choice?" asks Free. The plan, along with other changes made to immigration policy in the early days of the Trump administration, has caused controversy inside the Asylum Division of the U.S. Citizenship and Immigration Services, which is housed in DHS. A source inside the division, speaking on condition of anonymity for fear of losing their job, said, "It’s been one alarming thing after another." "We got Dilley up and running very quickly," according to the meeting notes. Lafferty said in the meeting that many of the 20,000 beds identified for use for family detention have already been located in existing facilities. According to Texas Monthly, ICE is considering re-opening the controversial vacant detention center in Raymondville, Texas — known as "Ritmo" — which was shut down in 2015 after years of allegations of abuse and poor conditions. 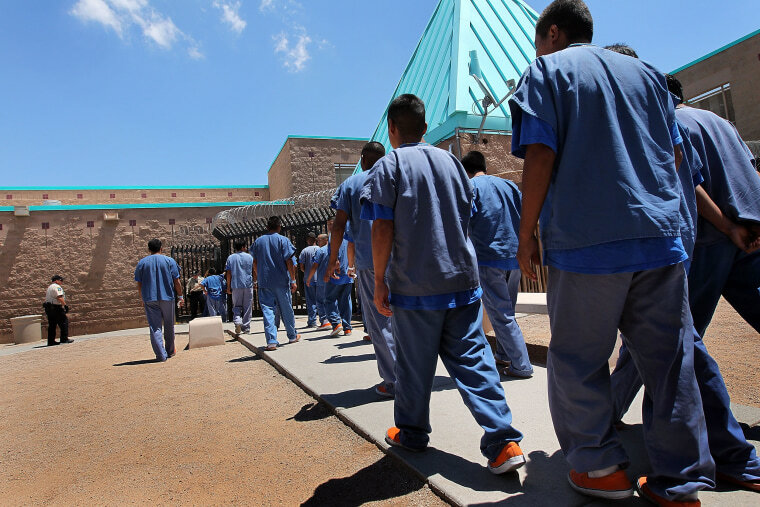 That facility was managed by another private prison company, Management and Training Corporation, which told Texas Monthly that ICE “is actively looking for new beds throughout the United States and they have expressed interest” in the facility. It is unclear whether the facility would be used for family detention if it is reopened. It was precisely such a massive expansion of privately managed immigrant detention that Wall Street investors appeared to anticipate when, upon Trump’s election victory, they sent the stock price of several private prison companies, including CCA, surging as high as 60 percent. This article first appeared on MSNBC. 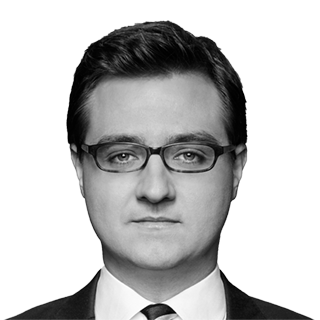 Chris Hayes hosts “All In with Chris Hayes” at 8 p.m. ET Monday through Friday on MSNBC and editor-at-large at The Nation. Hayes is a former fellow at Harvard University’s Edmond J. Safra Foundation Center for Ethics and was a Bernard Schwartz Fellow at the New America Foundation. His latest book is "A Colony in a Nation" (W. W. Norton).